Taking part in the Great Kiwi Bee Count is easy. Just watch a flowering plant for a two minute period and count how many bees and pollinators you see. To improve the data accuracy on our bees, we would like to ask you to provide your location so we know where the bees were sighted. Your location will only be tracked during the bee count. Which type of flower are you going to monitor? You have 02:00 minute to count as many bees as you can! Let's keep in touch! Click here to receive the occasional special offer or news update. Thank you for participating in the Bee count. Enter your details below to be in to win a Gardena Hose Trolley AquaRoll L Easy, including a 50m hose (RRP $169). 1. 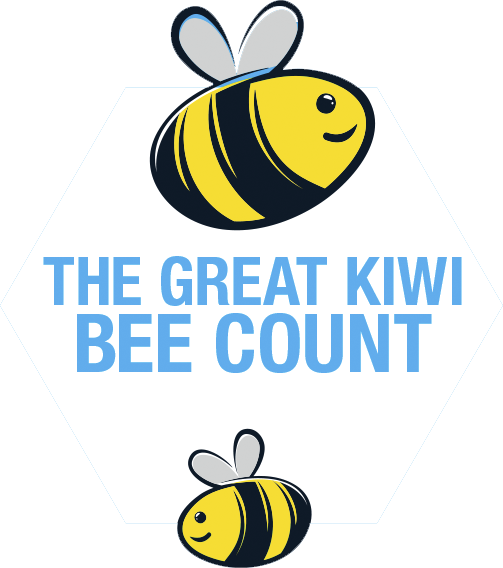 The promotion for participants to participate in the Great Kiwi Bee Count (the “Promotion”) is run by Fairfax New Zealand Limited (“Fairfax”). By registering, participants agree to be bound by these terms and conditions. 2. ELIGIBILITY: To be eligible to participate in the Great Kiwi Bee Count participants must visit www.stuff.co.nz/GreatNZBeeCount and register their details. Persons under the age of 18 are not eligible to enter. 3. HOW TO REGISTER: Registration is free. Participants must complete the registration form at www.stuff.co.nz/GreatNZBeeCount. 4. DATES: The Promotion runs from 12:00 am, 28th August 2017 until 11:59 pm, 30 September 2017. 5. ACCESSING YOUR LOCATION: The Promotion will access the participant's location to improve the accuracy of the bee count data. The Promotion will only track the participant's location until the bee count is submitted. 6. OWNERSHIP OF ENTRIES: Registrations will become the property of Fairfax who will keep the personal information it holds about participants confidential and will not disclose it to third parties. 7. DATABASE: Those who register for the Promotion permit Fairfax to enter their personal information, received as part of the registration process, into a database for the purpose of contacting them directly about any other publications or special offers, samples and other promotions, if the participant selects this option when registering for the Promotion. 8. PRIVACY ACT 1993: Pursuant to the Privacy Act 1993, registrants have the right to access and correct any personal information provided by them pursuant to paragraphs 5 and 6. 9. NO LIABILITY: Fairfax and its associated agencies and companies shall not be liable in any way (including, without limitation, in negligence) for any loss or damage whatsoever suffered (including, without limitation, indirect or consequential loss) or for any loss or damage or personal injury suffered or sustained in connection with the Promotion except any liability that cannot be excluded by law.